After we have updated the system and introduced the new design, several of you have asked if it is possible to get EasyPractice as an app? Unfortunately, we do not have an app that you can download in App Store nevertheless, I have a solution that works just as well as an app. 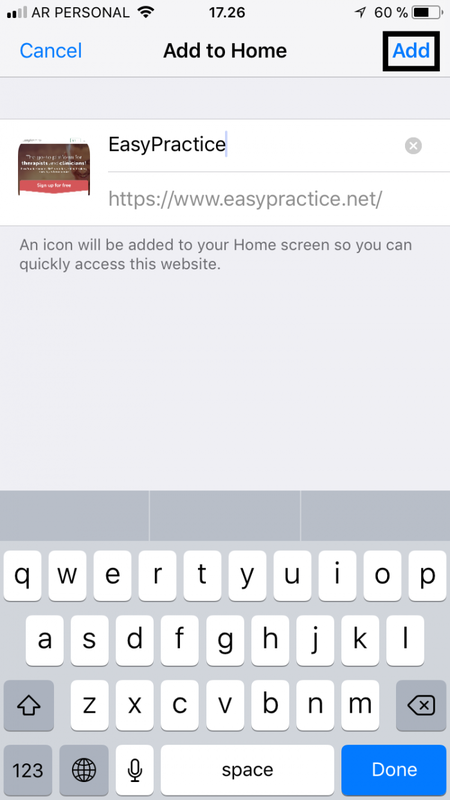 Below, I have added a short guide on how to save the link to the EasyPractice webpage on an iPhone to quickly access the system. 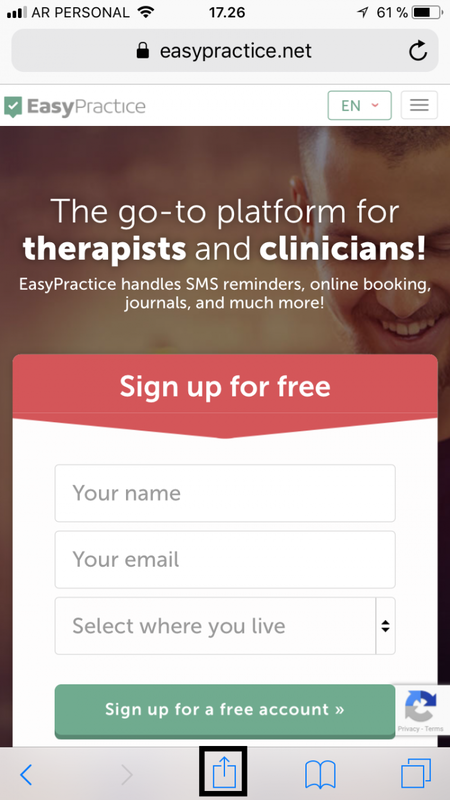 First, you start off by visiting EasyPractice and then click on the center arrow icon at the bottom of the screen. Then you click on “Add to Home Screen”. Here you can add a title or name of the shortcut, and then you finish by clicking on “Add”. 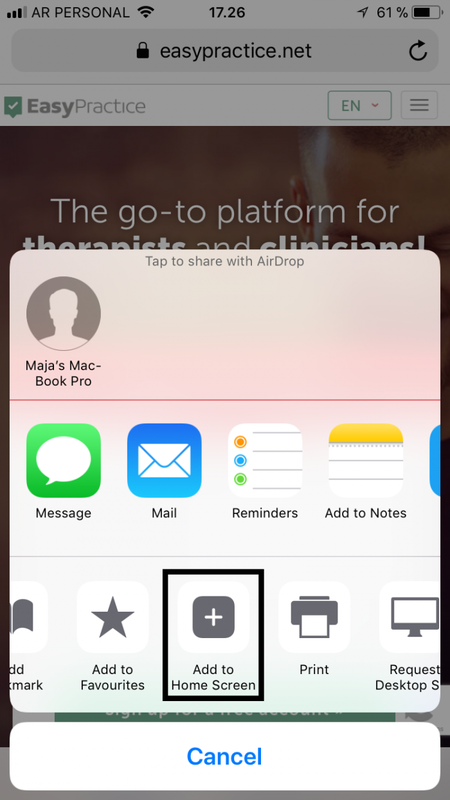 Voilà, the shortcut has been saved on your home screen, and you can now easily log in to the system. Please do not hesitate to contact me. if you have any questions.